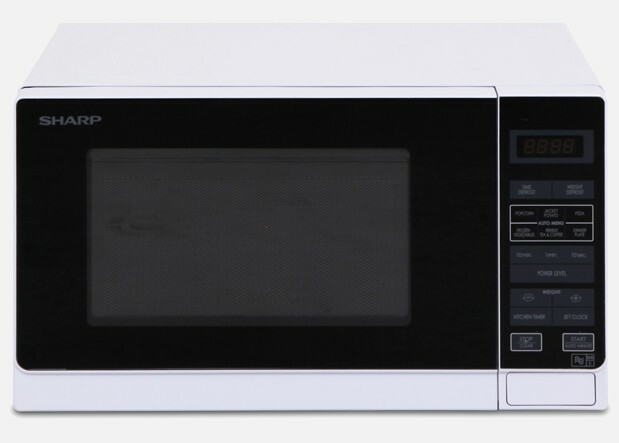 This 750W Compact microwave is a fantastic little addition to any home. It's great compact size means it can fit easily into your kitchen, leaving you with more bench space and with great features and locally developed Auto Menus, you'll find defrosting, cooking and reheating at home a breeze. This microwave has an output power of 750 Watts to enable you to defrost, cook and reheat all of your favourite dishes. For easy and efficient defrosting, cooking and reheating of popular menus, use Sharp's pre-programmed locally developed Auto Menus. 8 Auto Menus have been included in this microwave for your convenience. The locally developed Auto Menus on this microwave are fantastic for everyday defrosting, reheating and cooking of popular dishes. The R20A0W microwave is pre-programmed with 8 Auto Menus including 2 Auto Reheat menus, 4 Auto Cook menus, an Weight Defrost menu and an Express Defrost menu.